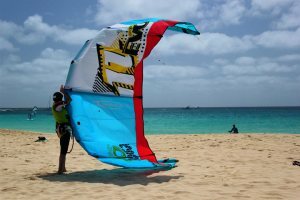 Due to their position within the winter tradewind belt, the Cape Verde islands boast near perfect wind conditions from late November to June, and so the island of Sal has been a popular haven for water sports holidays for years – perfect for thrill seekers! Added to this are some spectacular, and still relatively unknown, walking landscapes - particularly on the islands of Santo Antâo, Sâo Nicolau and Santiago - that truly have to be seen to be believed. There are a number of water sport activities available, including windsurfing, kitesurfing and some superb diving opportunities. Our local representatives can help you book lessons and courses that you can take part in if you are new to the sport or just to help you hire your equipment, making for a perfect water sports holiday. Jaw-dropping ravines, towering peaks and awe-inspiring volcanic craters are just some of the delights on offer for walking lovers in Cape Verde. There is something for everyone. 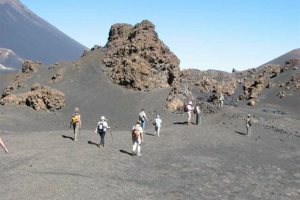 Why not try the ascent of the Pico in the crater on the island of Fogo, the top of which is 2829m and provides stunning vistas. Catch small fry with the locals on the edge of the pier or book a day to go rock or deep-sea fishing for the big game and maybe the great marlin. 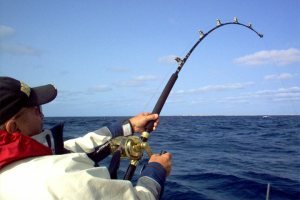 There is a large range of fishing opportunities in Cape Verde, whether you are just looking for a relaxing day out or an experienced fisherman. Cape Verde Experience as a smaller company are the best, you take good care of your clients from start to end.